Neuroscience has something big to deal with. Despite its spectacular progress in recent decades, there is one thing that resists it: deciphering how the complex wiring of the brain works in order to understand the mechanisms of memory and behavior. This doorway that may lead to a cure for Alzheimer’s, depression or autism remains shut. But the key may be in the genes of some light sensitive unicellular algae, which have opened up a revolutionary line of research. Optogenetics, born from optics and genomics, is a promising technique for better understanding traumas and neurodegenerative diseases. And regardless of future promises, it has already achieved success that once seemed like a pipe dream: optogenetics allows us to erase bad memories. Unveiling and redesigning our memory, a goal of neuroscience for a century, might not be far away. 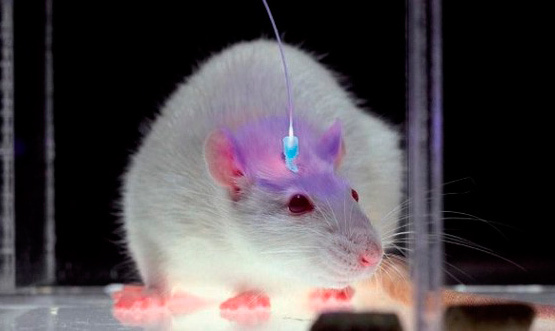 In the recognized classification of the journal Science, optogenetics occupied a place among the top ten scientific breakthroughs of 2014 thanks to an unprecedented finding of the team led by the Japanese doctor Susumu Tonegawa of the Massachusetts Institute of Technology (MIT). Researchers have not only been able to tag, in the brains of mice, the neurons that store a memory, but also reactivate them at will with a beam of blue light. Thus they have managed to turn the memory of a bad experience into a good memory. Without the need for electrodes, optogenetics involves a very subtle control of neuronal mechanisms. This novel technique involves injecting into selected groups of neurons a benign virus containing photoreceptor proteins (called opsins) whose genetic information comes from some photosensitive algae. In this way the neural cells become sensitive to light. Proteins, which act as switches, turn the neurons on and off depending on the light flashes sent in milliseconds through fiber optic cables. These light beams can stimulate or suppress certain thoughts and memories. One of the first problems is how to select the relevant neurons among the 86 billion that camp out in our brain. 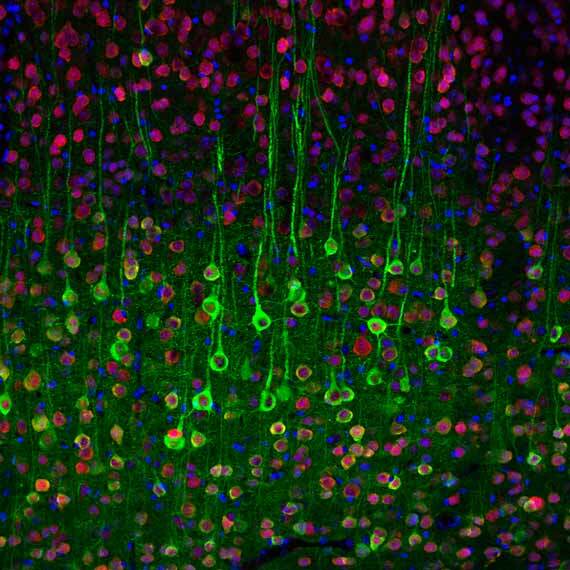 When activated to build a memory, neurons produce specific proteins that can be labeled by genetic engineering with other light emitting proteins, so that neural cells light up when they start making a memory. Scientists see something like the lights in the windows of an office building at night that hint at the location of the workers inside. The optogenetic experiments have multiplied since the technique was discovered in 2004 by neuroscientist Karl Deisseroth of Stanford University, using microbial proteins to control the movements of small organisms such as nematodes and fruit flies. Its degree of improvement has been very unusual since then. In short, optogenetics can be used against blindness to try to restore some part of the vision lost with retinal lesions. Its application could also replace the brain pacemaker for Parkinson’s patients, perfect new prostheses for hearing loss, more accurately reveal the mechanism responsible for REM sleep and alleviate cocaine addiction. But for now, the potential of optogenetics lies in its ability to uncover the functional labyrinth of the brain, to reveal how a memory is recorded and how trauma, depression or schizophrenia arise. When recording an event in the memory, neurons are connected to one another in areas specialized in different tasks of the brain. The path of memory storage has two tracks: neutral data (where and what happened) are stored in the hippocampus, the inside part of the brain, and the emotional meaning goes to the amygdala. Tonegawa’s team has discovered that a memory can be replaced in the hippocampus, but not in the amygdala, so its emotional value could not be erased. However, these MIT researchers have found that changing the memories modifies neural connections in both parts of the brain. These findings are thanks to the work done on mice, recording and playing back pleasant memories with a light beam on the neurons and generating bad memories by electric shocks. It has been found that if a nice memory is activated, a mouse is able to stay in the place of the cage that it used to shun. Its attitude contrasts with that of the other mice that associate this space with bad memories of the electric shock. In the same vein, researchers at the University College London (UCL) have undertaken a landmark study on the storage and manipulation of brain activity that determines which neurons contribute to a particular function. Their experiment, published last December in Nature Methods, combines optogenetics with another method of cutting-edge neurotechnology: calcium imaging, which detects neuronal activation by the increase in the calcium concentration when the nerve impulses begin. The team used a spatial modulator that split the light into a hologram consisting of small beams that, for instance, simultaneously activated six neurons that are involved in forming a smiling face. Do you Know How to Build a Brain in a Jar?